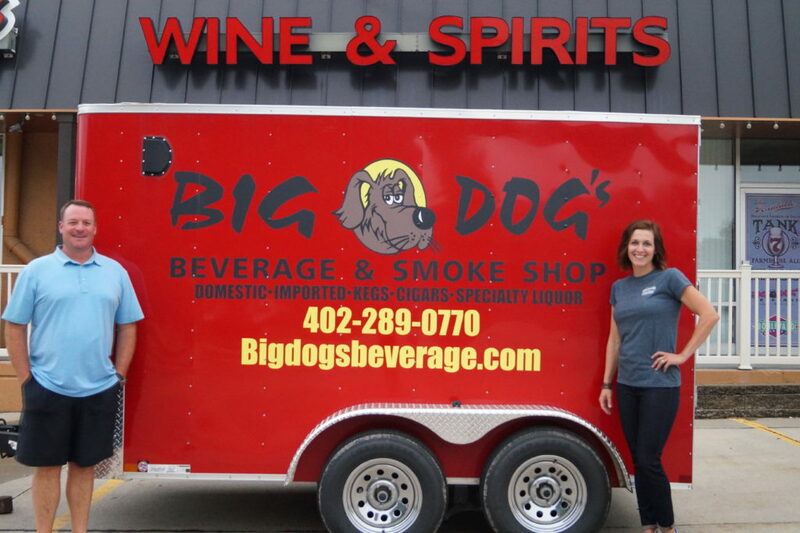 Josh and Nikki Evert are excited to be the new owners of Big Dogs Beverage in Elkhorn, NE. The Big Dog’s story began in the 1978 when Larry Gregurich began his career in the alcohol industry working for Standard Distributing in Fremont, a Budweiser distributor. During his 20 years there, he was the top salesman in the state, selling over 225,000 cases in one year. During that time he had always wanted to be the “big dog” and run his own business. In May of 1998, he and his wife Susan, purchased a small liquor store in Elkhorn with a lot of growth potential which they named Big Dog’s Beverage. They have been able to expand this business into one of the largest independent retail liquor stores in Nebraska. The story continues to one day when Josh Evert and Larry began chatting and catching up in a liquor store in Fremont, NE. Larry mentioned that he was looking for a successor and Josh immediately started thinking about the opportunity. It seemed to be fate, since Josh remembered that Larry had been the Budweiser distributor for his grandpa (Gene Evert’s) liquor store in West Point, NE for a number of years. Shortly after that conversation, he and his wife discussed the opportunity. Josh had worked for his father’s business, the Trade N Post, in Fremont, for 15 years. His father was getting ready to retire, so the timing seemed to fit. So the ball began to roll and as of April 1, 2018, Josh and Nikki Evert are the new owners of Big Dogs Beverage. They have three children: Loghan, Chase and Hunter. They reside in West Omaha and their children attend school in the Elkhorn district. They are excited to be a part of the Elkhorn community and look forward to seeing you soon!